I found these on the web years ago after purchasing a used Fanzilla, and just uploaded them to the Mid-State web site. I have no idea if there were originally more pages packaged with new units. These links are dead. I believe the Fanzilla unit in 4115 has died, and was hoping to use these as a starting point in my diagnosis. 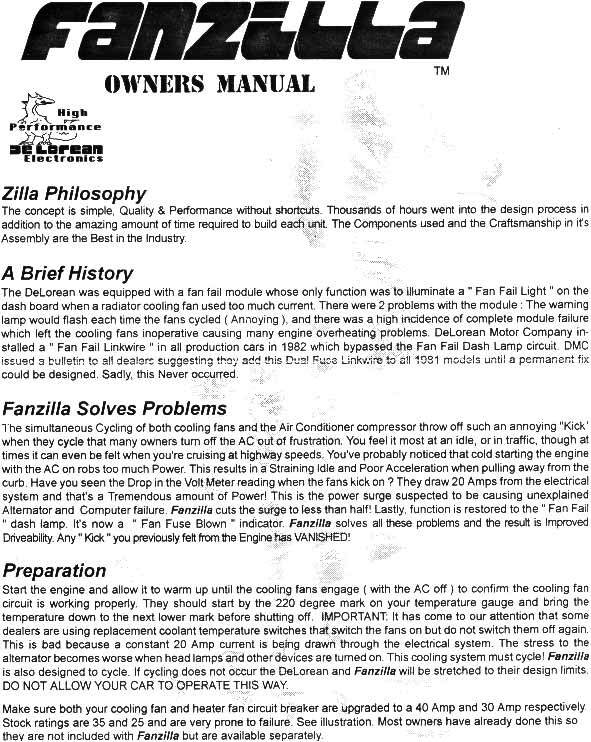 Anyone else out there have Fanzilla instructions that they would be willing to share? A dead Zilla....that's almost an oxymoron! If you send it to us we can test it and, if necessary, fix it. 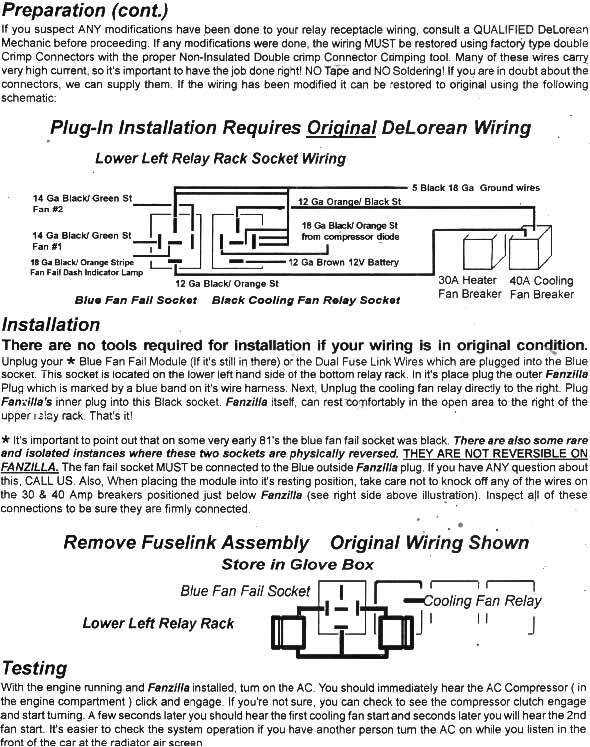 How do the fuses look? Thanks for your post here! 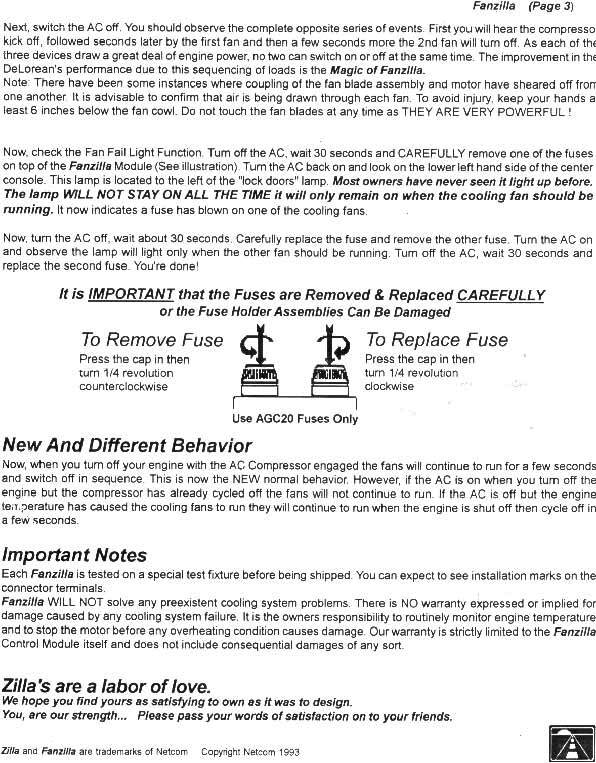 I'm going to send you a pm with some of my observations on cooling fan and 'zilla behavior, along with a couple of questions. I look forward to hearing your thoughts.